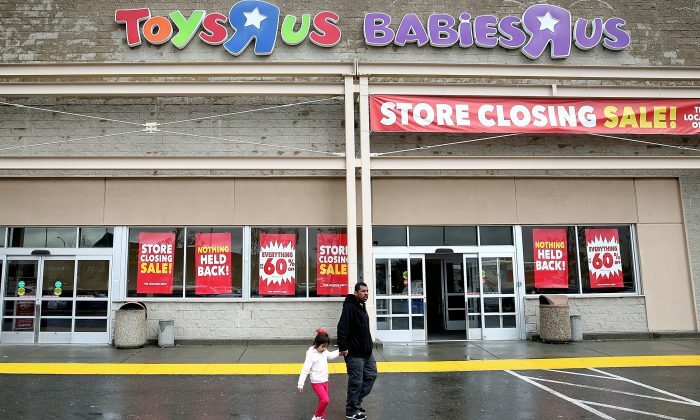 Toys ‘R’ Us founder, Charles Lazarus, died Thursday, March 22, just one week after the company announced it would be closing its U.S. operations. The company confirmed Lazarus’s passing in a statement posted to Facebook in the afternoon. “There have been many sad moments for Toys ‘R’ Us in recent weeks, and none more heartbreaking than today’s news about the passing of our beloved founder, Charles Lazarus,” the statement said. He was 94-year-old at the time of his death. Lazarus visited the company in New Jersey last year, in person. Lazarus started the company 70 years ago in 1948 when was 25 years old, according to CNN. He started the company in anticipation that the post-war baby boom would create a large demand for baby supplies and toys. He remained CEO until 1994. The company went public in 1978 and continued to grow in the next years. It went from a $1 billion business in the early 1990s to an $11 billion business, CNN reported. But in recent years, the toy chain struggled to compete with growing retailers such as Walmart and Target. The liquidation sales were expected to start on Thursday but have now been delayed until Friday, March 23. Shoppers planning to visit the store for one last trip down the aisle will soon face a different reality.